Coming out of a wedding ceremony last weekend in historic Safety Harbor, Florida, I walked for a time next to someone who had traveled twice as far to attend as I did from Durham, North Carolina. Before I could note my bonafides among the “Cod Fishers” by explaining that the town where she lives lies midway along a line of settlements by my ancestors stretching from Topsfield in the mid-1600s to the northern reaches of The Last Green Valley in the 1840s during which they headed out to my native Rockies, my new conversationalist stunned me with an even closer degree of separation. When she noted that her husband was friends with a former athletic director at Duke University located where I live, I stunned her back when I immediately replied Tom Butters, a friend and mentor during my first decade here as head of Durham’s community destination marketing agency. I marvel now even in retirement at how readily officials such as Tom and then Duke President Dr. Keith Brodie were to embrace me and the new organization that I had been recruited to jump-start in 1989. Tom should have already been famous to me when I arrived. He had pitched during the early 1960s for the Pittsburg Pirates in the Major Leagues. 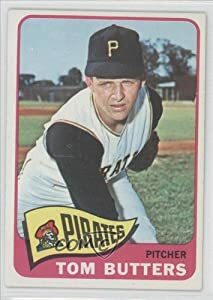 I am a lifelong New York Yankee fan but followed Pittsburg back then because the Pirates starred another Idaho native, Vern Law, who pitched in the same rotation. Butters also played with Roberto Clemente and Willie Stargell, the latter whom I would meet at a Bulls game shortly after I arrived in Durham, as well as Bill Mazeroski, who had beaten the Yankees in the 1960 World Series with a homerun in the bottom of the 9th inning. While in the minors, Tom had played for Salt Lake City (AAA) as well as Asheville (A) and Charlotte (AAA) during which time he completed his college degree by completing one semester a year. In his first game in the “big leagues” he faced a handful of L.A. Dodgers in relief who had cut their teeth in Spokane (AAA,) the closest thing at the time to a professional baseball team for my native Idaho. He gave up a single to Maury Wills, got Wally Moon on a pop up and walked Frank Howard between strike outs to Tommy Davis and Ron Fairley. Next, Tom helped defeat the San Francisco in his first start. My post-wedding conversationalist's husband had been roommates with Tom when he was a star pitcher for Ohio Wesleyan. Tom had come to Duke shortly after his MLB pitching career was cut short by a neck injury that resulted from a car accident on his way to spring training. Ironically, this occurred in Fayetteville, North Carolina, an hour and a half south of Durham, where we would one day meet. At Duke, Butters headed special events for Duke athletics and for a time coached the baseball team under famed athletic director Eddie Cameron. Yup that Cameron. By 1977 he was named athletic director. In 1980 he recruited the then little-known and now hall of fame basketball coach, Mike Krzyzewski, who also became a good friend shortly after I arrived in Durham, just before winning his first of four national championships. Upon my arrival, Tom immediately grasped the relationship between promoting Duke and my role in promoting Durham overall. His forte had been development and he understood the innate connection between a university and its community. He also appreciated that, as was our policy, the organization I represented then would never pursue or commit to an event that required Duke facilities without clearing it with Duke in advance. Many communities not only put their own stakeholders on the spot by pursuing events that are not a good fit and without first clearing availability, but push ethical boundaries even further by bidding on events too large for them to host on their own. They can only make it work by incorporating facilities in nearby communities, but often before clearing them with counterparts, thus putting entire regions and states on the spot. Durham collaborated with not only other destinations in its metro area but destinations in a nearby metro in designing shared bidding guidelines and procedures on mega-multi-city events. In the end, these guidelines were signed off on by not only other community marketing organizations but respective chambers of commerce and university athletic directors. Tom was an inspiration for this collaboration just before he retired in 1998, little more than a decade before I would. He set the standard for Duke’s success not only on the fields of competition but in the classroom and in his community. He was also an incredible mentor.